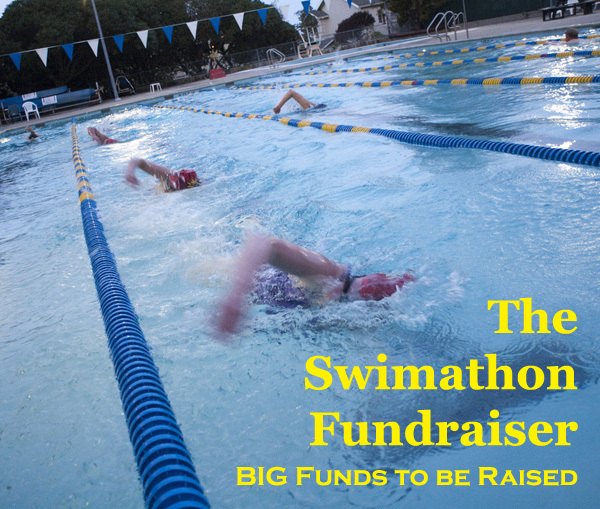 A Swimathon Fundraiser is a SUPERB fundraising idea. Especially for community-based organizations, teams, and small groups. It is also part of a group of fundraisers that hold incredible fundraising potential. 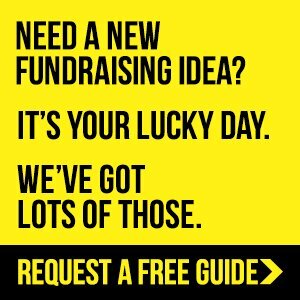 What are these fundraising ideas? They are Pledge based events. Like Walkathons, Read-a-thons, bike-a-thons, sponsored silences, and golf-a-thons, etc. Events where each participant takes part in the fundraising. They do this by getting friends, family and anyone to pledge donation amounts to them, for each unit that they complete. For example, $1 for every length swum. So why is the fundraising potential incredible? The amount of participants taking part. The average amount of pledges each participant receives. The average pledge amount per unit completed that participants receive (eg: 10c for every length swum). And finally the amount of units completed (total or average per person). And if you can increase each of those factors (even if only by a little), your final amount grows exponentially. See what a remarkable difference, small changes to each factor can make to the final number. And that’s why pledge events have such huge fundraising potential. 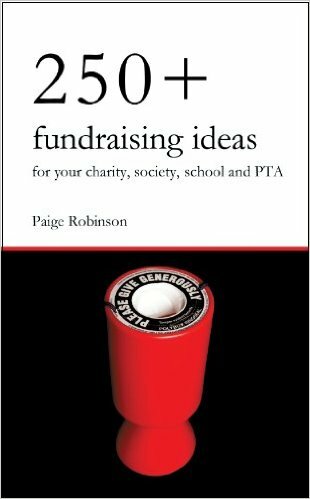 For more info on the fundraising potential of pledge events and that exponential formula (with some great examples) read the Pledge section of the Top 10 Fundraising Ideas. Not only will a Swimathon raise funds during the event, but it will also grow your donor list, which you can then use for future fundraising. A benefit of this type of fundraiser that should not be underestimated! And afterwards (thanking and preparing for next time). There is much to organize with a Pledge Based fundraiser so start by putting a committee together to share the work load. Read the recruit your event team section of the Walkathon article for advice on putting a committee together. In fact, you should read that entire article as it provides great advice on running a successful Pledge Event. Not all the advice will be necessary for a Sponsored Swim, but most of it is completely relevant! And take a look through these Walkothon Resources! Cross your T's and dot your I's. Essentially make sure that all aspects of the event are covered in your committee meetings. Ensure that every job is designated to someone to handle, and that they are accountable to the committee chairperson in regards to those jobs at all time. Once you have created your "To-Do" list, and designated the work out to your committee, It's now time to start recruiting participants. Once you have swimmers to take part in the Swimathon, only then can you start promoting and fundraising. After all, it will be your participants who will promote and raise the funds! 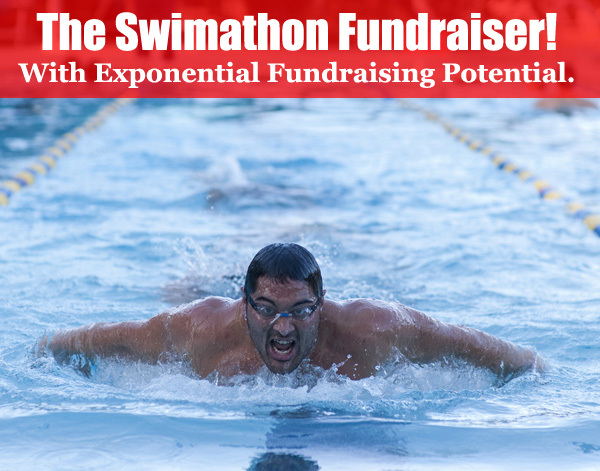 There are two parts to how you will drive the promoting and fundraising of your Swimathon. And they are intrinsically linked. The first way is through your participants efforts. The other way will be through publicity and promotions driven by the fundraising committee. Eg: Press releases, social media marketing, emails, and radio interviews etc. 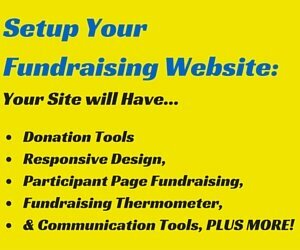 This will make it EASY for participants to sign up, create their own fundraising page, and then acquire pledges. Essentially, send their friends, family etc. to their fundraising page to pledge donations. 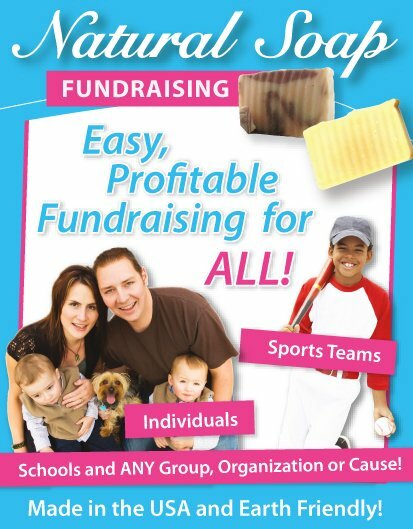 It will also provide a great platform to promote your fundraiser from, online. 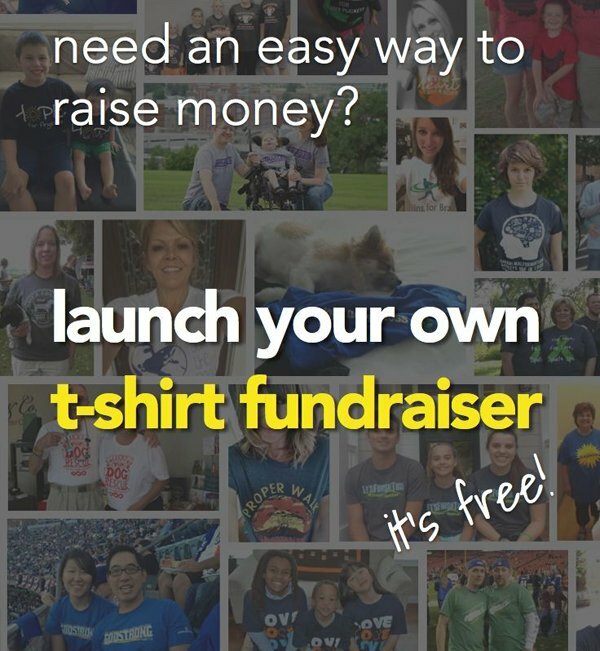 Including, making it easy for supporters to share your fundraiser themselves, increasing your word of mouth marketing. 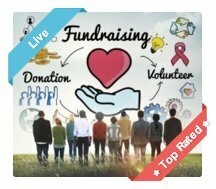 You must give at least some tips, ideas, and basic guidelines for how participants can promote the fundraiser, their fundraising page, and on how to get someone to actually pledge. 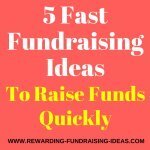 The better your participants are at fundraising.... THE MORE FUNDS YOU WILL RAISE!!! So this is super important!!! For some ideas on this, read the Encourage Participant Fundraising section of the Walkathon Article. And lastly... PROMOTE, PROMOTE, PROMOTE! But always with a clear call to action. For example, simply telling people exactly how or where to pledge, and prompting them to do it. Then as an organization you need to promote as well. Through your social media, donor lists / mailing lists, and press releases, etc. 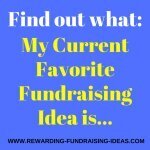 And this great post on Promoting a Fundraiser. Just remember to build momentum and excitement as you near the day. 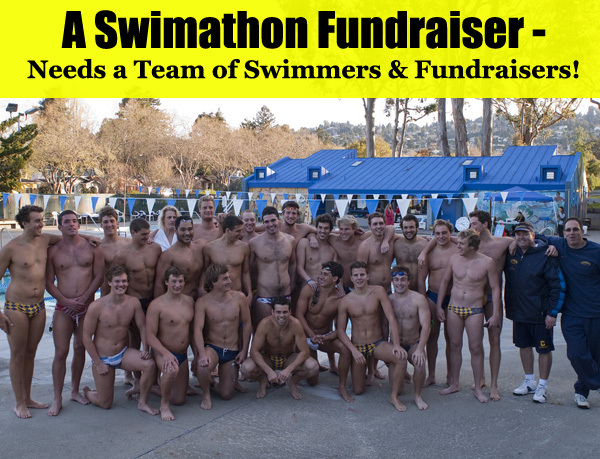 And continue to blast your promotions throughout the actual Swimathon. Firstly you need to ensure that your swimmers are totally prepared and ready for the swim. Then make sure that they are properly looked after throughout the day. Food, drink, etc. They must feel highly appreciated for the effort that they are putting in. And of course they should be thanked thoroughly!!! What the Cause of the fundraiser is. And how people can get involved and pledge/donate. Always have a call to action! Essentially you must be continually creating interest, a SENSE OF URGENCY, and excitement about the Swimathon and IMPORTANTLY... your awesome cause. Your Social Media accounts. Both your Organization's and your private accounts! Build as much activity and virility that you can here! Phone calls. To previously interested supporters who haven't taken action yet... and others! Firstly you need to make sure that everyone involved is thanked properly, and shown full appreciation for their hard work and/or contribution. These are all ways you can thank and show appreciation. Another idea is an after event barbeque or dinner. Your donors need to be thanked as well. Not only is this just good ethics, but it's exceptionally important to your on-going fundraising strategy. And the impression you leave in the 2 weeks after their donation is paramount to retaining them as future donors! So make sure you follow up with those donors effectively. Make them feel appreciated, involved, and integrally important to your awesome cause. As always when it comes to this I suggest you carefully study "100 Donors in 90 Days" and it's follow-up, "The Donor Retention Project." 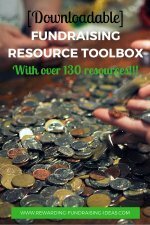 They are two resources full of all the secrets on finding new donors and keeping them. Also read this great article from Shanon Doolittle on what to do with an event donor. And check out this excellent Infographic on Thanking Donors. Your post event committee meeting should evaluate the effectiveness of your event, and highlight where you can improve. As always with events of this nature you will generally only reach it's true fundraising potential in about the 3rd year running. As by then, you have refined and improved your strategy from experience... And of course, each year it will grow in popularity if you do it effectively! So discuss carefully how you can improve and raise more funds from your next Swimathon. Be sure to leave any comments or ideas down below. I wish you all the best of luck with your Fundraising!